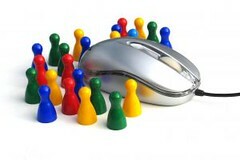 Mediation bloggers: are you making the most of the social side of blogging? Nancy Hudgins, an attorney and mediator in California, began blogging just this year at Civil Negotiation and Mediation, a blog that puts the “civil” back in civil litigation. She recently shared with readers the discoveries she made about the addictive nature of blogging and also its surprising benefits. She described how blogging has engaged her intellectually while connecting her personally to readers and fellow bloggers. Nancy has readily embraced the most appealing part of blogging — its capacity for bringing people — not just ideas — together. Nancy consistently demonstrates what successful bloggers do best — linking to other blogs to point her readers in the direction of ideas that have captured her attention. She also links to new bloggers, welcoming them warmly. Her generosity of spirit and her confident voice have set her apart as an ADR blogger of distinction. Nancy is a mediator who really gets what blogging is all about. Sad to say, not all ADR professionals who blog appreciate this. In my travels around the web, all too often I find bloggers who resolutely refuse or fail to link to other bloggers, something I just don’t understand. Even when it’s evident that they have drawn inspiration for their posts from the work of others in the blogosphere, they neglect to acknowledge the source of their ideas. Some don’t have any outgoing links at all — not even to other web sites, let alone to other bloggers — as if fearful that if they send their readers away, they will not come back. Imagine a legal conference or seminar where lawyers never referred to what another said. Imagine a legal article not referencing previous writings by other lawyers. We’d get no where in the discourse of law. And lawyers that refused to enter into such discourse on the law would never establish themselves as reliable and trusted authorities in their niche area of the law. Plus rule one on marketing your blog is linking to other blogs. The more you send people away to more valuable resources, the more valuable you become to your target audience. “Being more social is what gets traffic to your site,” as Kevin said recently. Blogging and not linking to fellow bloggers is like going to a party and standing in a corner talking to yourself. Why bother to get all dressed up if you’re not going to mingle with the other guests, join the conversation, maybe even dance? But blogging is not just about increased traffic to your site or a smarter marketing strategy. Most importantly — to me at least — the social aspect of blogging means the opportunity to make real and meaningful connections with others who share my passion. Blogging has introduced me to people I would never have met otherwise. It has brought me a wide network of colleagues and friends I can turn to for advice, for support, for a laugh when I need one. We have wrestled with ethical dilemmas together, joined forces in the face of adversity, shared confidences, weathered setbacks, celebrated triumphs. The best part of all of this is that the social side of blogging is not just for bloggers. Readers like you can directly participate by adding your comments. And who knows? It may motivate you to start blogging, too. This entry was posted in Blogs and Bloggers, Networking and Social Media for Mediators, Popular Culture, Politics, Society, Tech and Business Tips for Mediators. Bookmark the permalink. Thanks for referencing what I said Diane. It’s amazing when what I wrote put in the context you used it here makes me sound better than when I first wrote the post. In fact, I’m marking the post and your explanation of the social side of blogging as a post to show folks looking to learn the art of blogging. Kevin, you’re welcome, and my thanks to you in turn. I thought the point you made about the value of linking to competitors’ blogs was an important one, and convincingly and articulately made. Although you were discussing lawyers who blog, your observations are directly applicable to those in the ADR field — indeed, across all professions and occupations. You were describing universal truths for bloggers everywhere. Why use social media if you’re not going to be social? I’m happy to hear that my own post struck a responsive chord for you. Thanks so much for letting me know, Kevin! it’s true but you’re addicted because on 3.august you wrote: ” I’ll be back some time next week, when Mediation Channel returns with its regularly scheduled programming.” ;-)) ! it’s a very short break ! Ps: to read you is a real pleasure ! I’m addicted to your posts ! It seems that people often forget that other people (not machines) are on the other side of a blog, comment, or website. We have to remember that people do business with people. Blogs, websites, telephones, emails, and letters only serve as communication tools to connect people to other people. Unfortunately, many people (bloggers) seem to miss this point. Thanks so much for reinforcing this important concept. Dominique, thank you so much for being so kind! I’m enjoying your blog as well — not least because I’m getting to use the French I studied way back in high school. You’re right, there is absolutely something addictive about blogging — it’s the push and pull of ideas, and the conversations with people like you that give blogging its appeal. Guy, it’s great to hear from you. You’re someone who really seems to have taken to blogging, clearly is having fun, and appreciates the “social” in social media. Your point is well taken — people is the whole point. Relationships count, and it’s our ability to connect with others that matters. Thanks to both of you for taking time to comment. I’m really glad you stopped by.